Just like that we’re already four months into 2015, meaning the year is already 1/3 of the way over. Sure, this is generally a slow time of the year for video games – E3 hasn’t happened yet, and the fall rush of games still remains a long way away. However, it would be foolish not to look back at the first part of the year and reflect on what games may or may not end up on our game of the year list eight months from now. Let’s take a look at what makes this year’s highest rated games stand out, as well as what may hold them back. Note: no remasters, ports, or games previously released on other consoles were considered for this list. 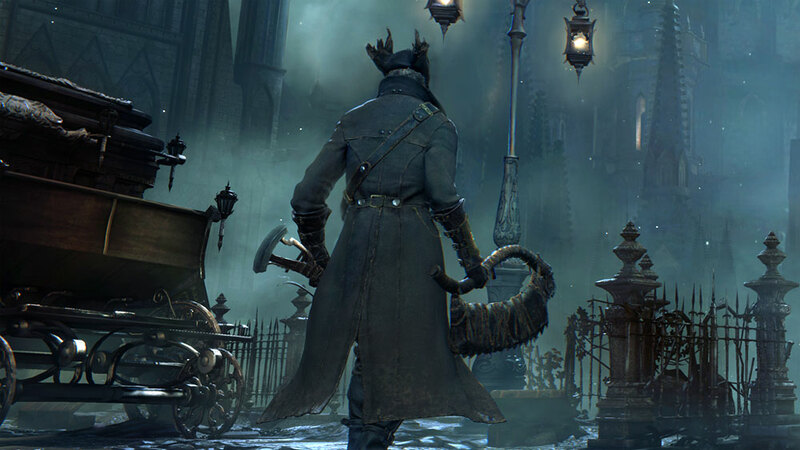 The dark, terrifying, and bloody RPG has been crushing the confidence of gamers who have entered Yharnam since it was released exclusively on PlayStation 4 in March. However, its difficulty is one of the points that many reviewers and gamers applauded, alongside its intriguing lore and ability to appeal to a wider audience than Dark Souls and Demon Souls did. Do too many games hold your hand and reward you at every turn? Bloodborne is not one of them. What may hold it back: When a game shines so bright, the minor flaws that it contains sometimes stand out more than they should, such as Bloodborne’s lengthy loading times (though they have since been resolved through a patch). With a deep, interesting world and an environment that continues to challenge gamers at every corner, will this year’s highest rated original release stay in people’s minds through the remainder of 2015? This PC-exclusive that acts as a spiritual successor to Baldur’s Gate and Icewind Dale nailed three aspects for players: a wide opportunity for exploration, interesting and intense combat, and a story that features immersive writing. Pillars was commended for being deep and engaging experience. Many gamers acknowledged its ability to pay homage to older, classic RPG games. What may hold it back: While many games are hailed as “great”, game of the year often goes to game-changing experiences. The game may offer a lot to do and is ready to captivate hours of your life, but does the game separate itself enough from the rest of the RPG genre to secure a spot in the game of the year race? Ori and the Blind Forest is arguably the most artistic of all the games on the list, though it also shares many Metroidvania qualities with Axiom Verge. Ori was recognized for containing gorgeous visuals, creative and challenging gameplay, and giving players a reason to explore at their own pace, all while enjoying an emotional story. What may hold it back: This 2D platformer is pretty, precise, and poignant, but will the fact that an “indie” game remains the highest-rated Xbox One original game stop people from recognizing the game? And more importantly, should it? Axiom Verge was special for many who played it. On one hand, there was a single developer behind it: Tom Happ. It’s a nostalgic adventure for anyone who craves to relive the days of playing Metroid or Castlevania. Players loved the creative weapons and gadgets waiting in each world, the mesmerizing soundtrack, and the amount of exploration that is possible throughout the game’s many areas. What may hold it back: Does the game’s immense exploration and backtracking also become its downfall, resulting in too many players giving up before they reach the end of the experience? Talk about immense experiences: Monster Hunter 4 Ultimate is a huge and continues to grow for its fan base each and every month with its free DLC releases. Previous Monster Hunter releases have never really hit the level of popularity in North America that this title has achieved. The 3DS exclusive also contains a solid multiplayer mode and an addicting formula perfected by new creatures, weapons, and gameplay mechanics that hook players and keep them…for a long time. What may hold it back: Those who fall for Monster Hunter fall hard, but did enough players commit to the experience for it to land on many people’s lists at the end of the year? From our review: Monster Hunter 4 Ultimate comes with even more features that could be explained in great detail, but are better experienced than read about. A quick rundown: vertical combat, expeditions, palicoes (felyne fighting companions), two new weapon types, entirely new areas, online multiplayer, new monsters, and plenty more. Cities: Skyline gives players a sandbox and the tools to create the city they want to. But what separates this PC exclusive from other city simulators out there? Its clean interface, wide variety of maps, and depth of ability in creation are everything that players seek when looking to create a city of their own. What may hold it back: Many critics consider Cities: Skyline to eclipse its competitor, SimCity, as the definitive city building game, but have enough gamers listened and tried it out on their own? From our review: Cities: Skyline is a hallmark for a fantastic modern city simulator. It’s one of the few that will successfully be considered one of the best because its base game is already rock solid, and the community will continue to make it better. This game is something that will be played by fans of the genre for many months or years to come; I know the hours I’ve put in have been an absolute joy. These are just a few of the games released this year that received the highest averaged scores from a variety of video game publications. Notably, there’s not a single Wii U title here. What games are on your list? Something here you don’t like? Something missing? Something coming in the next eight months that you expect will end up on this list? Let us know in the comments below!